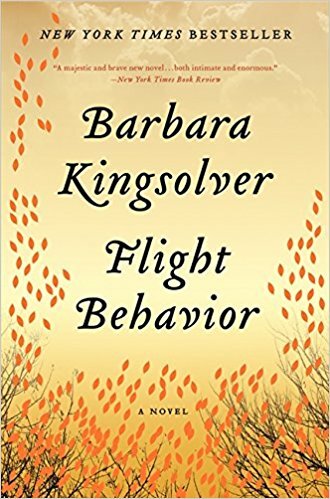 Flight Behavior, by Barbara Kingsolver, is the featured book for discussion in New Palestine. You are encouraged to read the novel in advance. Ask for a copy at the front library desk. Book jacket description: The extraordinary New York Times bestselling author of The Lacuna (winner of the Orange Prize), The Poisonwood Bible (nominated for the Pulitzer Prize), and Animal, Vegetable, Miracle, Barbara Kingsolver returns with a truly stunning and unforgettable work. Flight Behavior is a brilliant and suspenseful novel set in present day Appalachia; a breathtaking parable of catastrophe and denial that explores how the complexities we inevitably encounter in life lead us to believe in our particular chosen truths.